What's black and white and green all over? 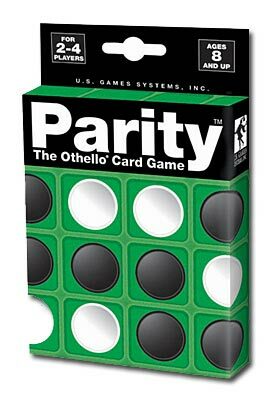 The new game of Parity--the Othello Card Game! Capture as many disks as possible in each round to win the most Parity cards. With 51 cards to play off of the Centerpiece Card, Parity has a similar strategy as the amiliar favorite game of Othello.